Monsoons are a hard time to plant trees. Until the last moment, you don’t really know if the sun will shine or the clouds will open. Sometimes you water the trees only to have them soaked with cool rains an hour later! And at other times you expect rains in the morning and then rush to the plantation site with your watering can in the evening because it was sweltering hot. 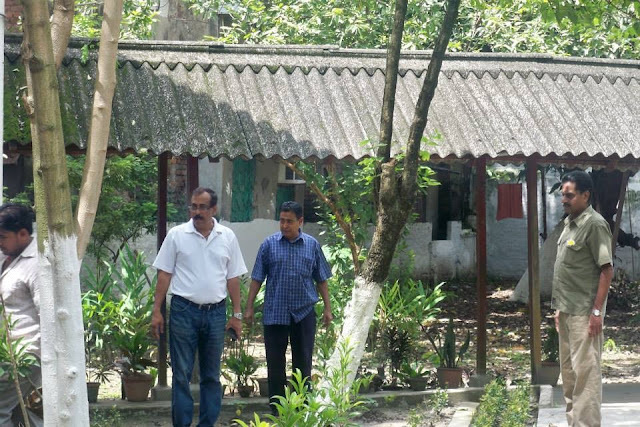 A little bit of the same happened on September 10, 2013, at Mulvany House, Kolkata. Home to 20 senior citizens, the old-age home wants 500 fruit trees planted so that the produce from the trees partially offsets the home’s food and nutrition costs. “We also want sapota (cheeku). You see, one doesn’t need teeth to eat them,” chuckled one of the women. 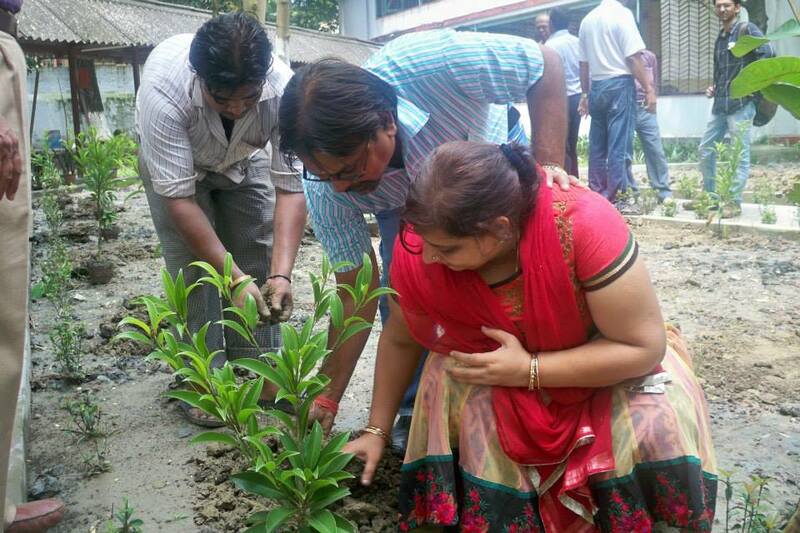 So of course, from the trees we planted, fifteen were cheeku saplings, 20 guava and 16 banana. 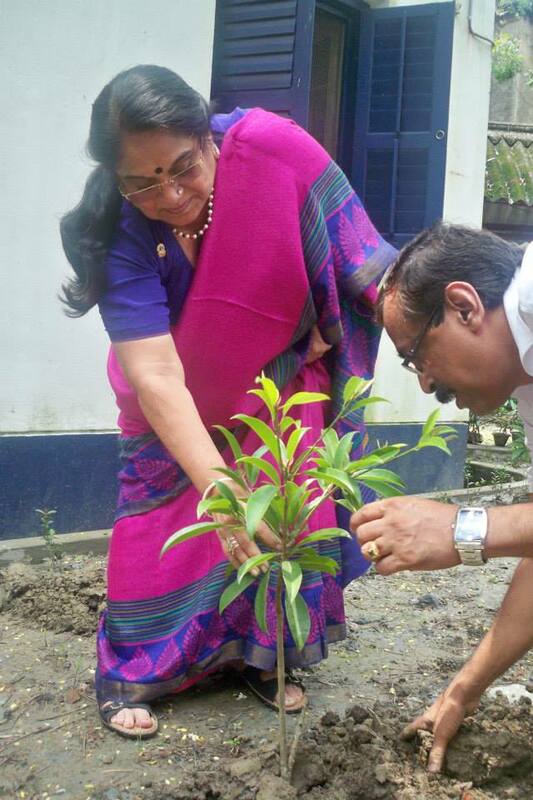 Mrs Rama Bhatia, District Governor, Lions District 322B1 adopted 21 of them. Mrs and Mr D D Joshi adopted the other 11. 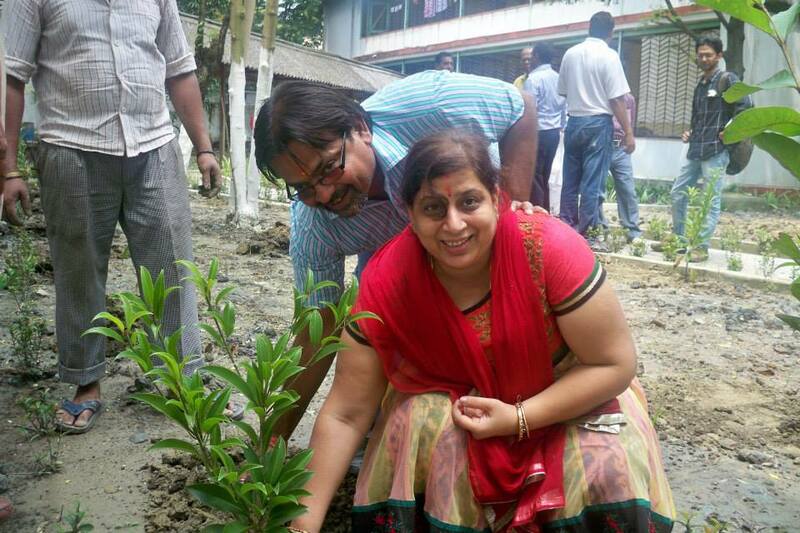 It was a special day for the couple since it was Mrs Joshi birthday and they had driven down to the home especially to plant the trees to commemorate the happy day. “Well, she was upset that she couldn’t accompany me for the past plantation drive and I just had to make this special for her,” smiled Mr Joshi. The old-age home had also arranged a lovely birthday cake for Mrs Joshi, but of course everyone forgot about it in the excitement of planting trees and then rushing indoors when it started to pour. The lady who takes care of the home remembered the cake on the dining table about half-an-hour later but by then the couple had left. So the eldest “aunty” in the home, who is 92-years-old and full of witty one-liners, cut the cake on her behalf while everyone sang for Mrs Joshi, who was giggling shyly on the phone at her home, listening. “Showers of blessings,” said the home caretaker. Who can disagree?